In the State of Sikkim, India there are many places to visit. Bakthang Waterfalls is one of them. This lake is located near the Gangtok. The distance of this lake is 3 km from Gangtok and only 20 minutes drive from Gangtok. 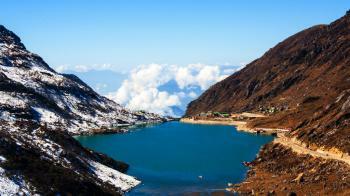 This lake is one of the best attraction of Gangtok. There are many attractions in Gangtok. There is no entry fees. The ideal duration of this place is 1-2 hour. Nepali, Sikkimese, Bhutia, Lepcha, Hindi, English, Limbu, Newari, Rai, Gurung, Mangar, Sherpa, Tamang and Sunwar languages are used in this place. 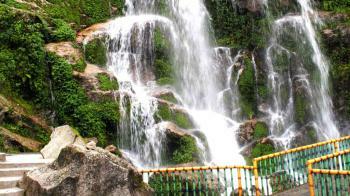 The attractive Bakthang waterfalls originate from Ratey Chu, which is the main water source of the city. It is a great place for photography buffs, Adventure Seekers and nature lovers. The location is completely free from the pollution of city life. There are many attractions in this place. Major attraction is rope sliding. In the State of Sikkim, India there are many places to visit. A trip to Sikkim is not complete without a visit to North Sikkim. North Sikkim is considered to be one of the most beautiful place. There are many beautiful places or lakes to visit. 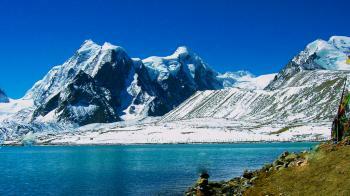 Gurudongmar Lake is one them. It is one of the highest lake in the world. It is the second highest lake in Sikkim as well as in India, the first being Cholamu lake at a height of 18000 ft, also located in Sikkim. The altitude of this place is 17,800 ft. Lake which is considered sacred by both Buddhists and Sikhs. The lake is named after Guru Padmasambhava, also known as Guru Rinpoche. There is also a temple of the Guru besides the lake. The blessed water of the lake is believed to posses the miraculous power of granting children to issueless couples. The lake is not only blessed by Guru Padmasambava but also by Guru Nanak Dev ji. The surface of this lake is 118 hectares. The ideal duartion of this place is 2-3 hours. This place is famous for Fun Lovers, Experience Seekers, Photo Fanatics, Adventure Seekers, Photo Fanatics. Many tourists come in this place in every year. In the State of Sikkim, India there are many places to visit. Khecheopalri Lake is one of them. 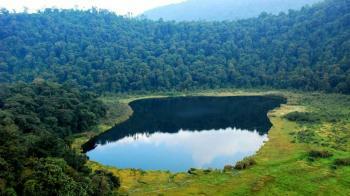 This lake is located near Khecheopalri village which is 147 km from Gangtok and 37 km from Pelling town. There is no entry fees of this lake. The ideal duration of this place is 1-2 hours. There are many attractions near this lake. This place is prefferred by Photo Fanatics, Nature Lovers, Nirvana Seekers, fun Lovers, kids zone. This Lake is is considered as a holy lake by Buddhists as well as Hindus. This Lake is Originally known as Kha-Chot-Palri which means heaven of Padmasambhava. Another name of this lake is Sho Dzo Sho, which means "Oh Lady, Sit Here". Khecheopalri Lake is also known as a "wish fulfilling lake". There are many festivals celebrated in this place. Most famous is Religious Fair which is celebrated in the month of March/April. This fair is held here every year for two days in Maghe purne. The type of the lake is Sacred. 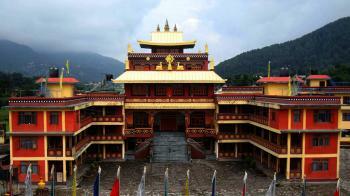 Rumtek Monastery is also called the Rumtek Dharmachakra Centre. Rumtek Monastery is a gompa located in the Indian state of Sikkim near the capital Gangtok. It is a focal point for the sectarian tensions within the Karma Kagyu school of Tibetan Buddhism that characterize the Karmapa Controversy. The largest monastery in Sikkim, is home to the monks community, the place where they perform the sacred rituals and practices of the Karma Kagyu lineage. Surrounding Rumtek Dharma Chakra Centre is the stupa walkway, where monks, pilgrims, and visitors alike perform kora. In the state of Sikkim, India there is best place for visit known as Gangtok. This place is famous for Hill Station. Gangtok is located in the district of East Sikkim. This place is Famous capital town of Sikkim. The altitude of this place is 1437 mt. above the sea level. Gangtok is a land of monasteries. There are many places to visit in the Gangtok. The famous place is Buddhist Pilgrimage Centre. In India Gangtok is one of the most picturesque place for visit. Gangtok is surrounded by dense forests which are full of poplar, oak and elm trees. Nepali, Sikkimese, Bhutia, Lepcha, Hindi, English, Limbu, Newari, Rai, Gurung, Mangar, Sherpa, Tamang and Sunwar languages are used in the Gangtok. There are many places to visit in Gangtok. Gangtok is also known for its Scenic beauty. 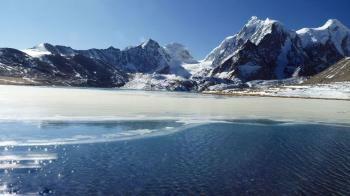 In the state of Sikkim, India there is a glacial lake known as Tsomgo Lake. This lake is also called by Tsongmo Lake or Changu Lake. From the capital Gangtok the distance of Tsomgo Lake is 40 km. Tsomgo word is come from the Bhutia language. It comes from two words 'Tso' which means "lake" and 'Mgo' which means "head" . The name Tsomgo means 'Source of water'. With the change of season this lake surface reflects different colours. This is one of the awesome high altitude lakes in India. In summer and autumn, there is Primula flowers. In winter the placid lake remains frozen with the area around it covered in snow. The lake is associated with many myths and legends. This lake is best place for outing. The lake is filled with water of melting snow coming from the surrounding mountains. The shape of this lake is Oval. The surface area of this area is 60.5 acres. The minimum length of this lake is 2743 ft. and the maximum length of this lake is 1401 ft. The average depth of this lake is 15 ft. and the maximum depth of this lake is 49 ft. Joy rides are the attraction of this lake.